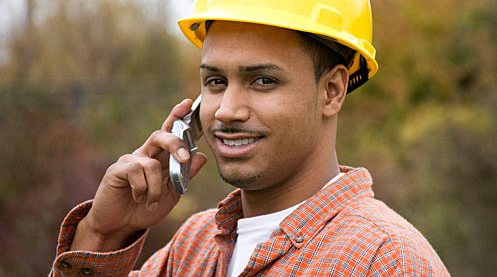 Our contractor’s construction time clock app caters to businesses who employ a dynamic and highly mobile workforce. Namely, the construction, electrical, plumbing, painting, roofing and property management industries are likely to have hundreds of employees at jobsites all over and out of town. Accurately tracking employee hours, overtime, shift changes, mileage and associated tasks is not only daunting, but also error-prone. With features designed specifically for these industries, users will appreciate navigating their workdays with newfound ease. For example, the Auto Logout feature allows employees to quickly log into multiple jobs without needing to log out of prior jobs, minimizing the number of steps required for those visiting several sites per day. If workers forget their mobile phone, or for those who don’t have one, Workgroup Punch (or Crew Punch) is a tool that allows managers to get them on the clock (either individually or as a group) without delay. This feature also lends itself to being set up on a tablet – which becomes a “kiosk” – where workers can easily log in and out without having to reach for their cell phones. To ensure location accuracy, if an employee is within the geofence of several worksites, a list of these locations appears on their smartphone. Switching from “Auto” to “Manual” under the Customer Assignments tab ensures that when employees log in on their smartphone app, the only jobs that appear are the ones specific to them. The Customer:Job feature actually allows managers to pinpoint and control the size of the geofence using the longitude and latitude of a job location. Timesheet Mobile™ streamlines the entire employee time tracking process, allowing our customers the freedom to focus on the core aspects of their businesses.